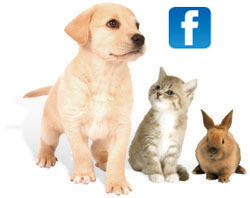 To allow us to provide affordable Veterinary care we have strict guidelines with regard to payment. We currently accept all forms of pet insurance. We accept most credit and debit cards. We accept cash. We do not accept cheques. We offer no forms of credit. All neutering and dental fees are paid on the morning of the surgery. All vaccination and consultation fees are paid at the time of examination. We ask for your understanding with these guidelines. Please do not take offence, it is not personal, but to be fair we must treat all customers the same.